These earrings are made up of 1920's carved mother-of-pearl panels suspended on new sterling silver decorative earwires. 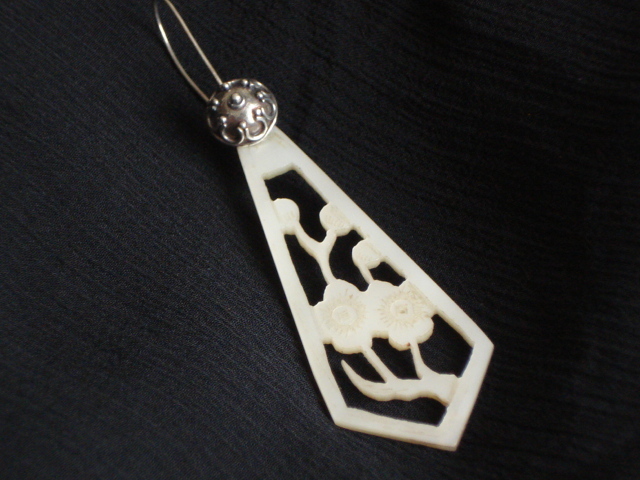 The panels are carved right through with an Oriental style design of prunus flowers on a branch. 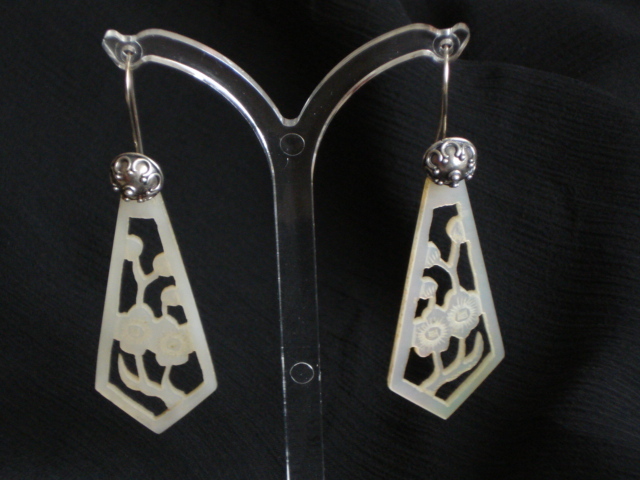 The silver earwires have a filigree ball design on them which sits at the top of the panel. They are a real style statement, being just over 6cms ( 2 inches) in length by 2cms (.75 of an inch) at their widest point.